Ahead of meetings with Google and YouTube executives in California in April 2017, Joly's staff prepared short background notes for the minister with suggested questions for her to ask, according to documents obtained under access to information law. They show Joly was prepared to ask if the online corporate behemoths would be interested in helping finance content and fund initiatives to support journalism in Canada. In a meeting with Philipp Schindler, Google's chief business officer, Joly was prompted to sound out Google's interest in funding content. "As the Canadian minister responsible for culture, I am very interested in promoting and developing all forms of Canadian cultural content, not just limited to news. Do you see a role for Google in financially contributing to the creation of cultural content?" reads one of the briefing notes. Joly also was prompted to ask about the search engine's willingness to help fight fake news in Canada. Google is already spending hundreds of millions of dollars in Europe to fund journalism partnerships, research and projects. For example, one project in Sweden — dubbed "the story sniffer" — is developing technology that looks for story leads in large amounts of public data and statistics. Through its $300 million US digital news initiative fund, Google also is working with European publishers to find ways to increase revenue and traffic. The fund was launched after several publishers argued Google unfairly capitalizes on their work by attracting the ad revenue they once collected. One of the suggested questions for Joly had her asking Google if it could see such a fund succeeding in Canada. Her questions suggest where the department wants to take Canada's broadcasting and telecommunications laws. While Google's response to her questions is unknown, Joly has taken a harsher tone in public with tech companies since her April 2017 meetings. "I think more and more voices around the world are being raised regarding the fact that platforms need to recognize their responsibility, and that while they're getting a huge piece of the pie of digital advertising revenues, there needs to be an approach to support more trusted local journalism," Joly told the Toronto Star earlier this year. Earlier this month, the government launched a panel to study Canada's outdated broadcasting and telecommunications laws. One of the questions the panel is tasked with answering is how to legislatively lasso international internet companies like Google, Spotify and Netflix in Canada. In the context of a search engine company like Google, that could involve regulations on promoting and prioritizing Canadian content in online feeds. "There is an opportunity to consider whether there are new ways that Canadian content creation, distribution, and discovery in both official languages can be supported in this new digital communications environment," the Heritage Department said in its instructions to the panel. "If you profit, you contribute. There is no free ride," said Joly in a news release at the time. The panel's final report is due in early 2020, after the next election. Joly has faced criticism about her handling of the file so far. 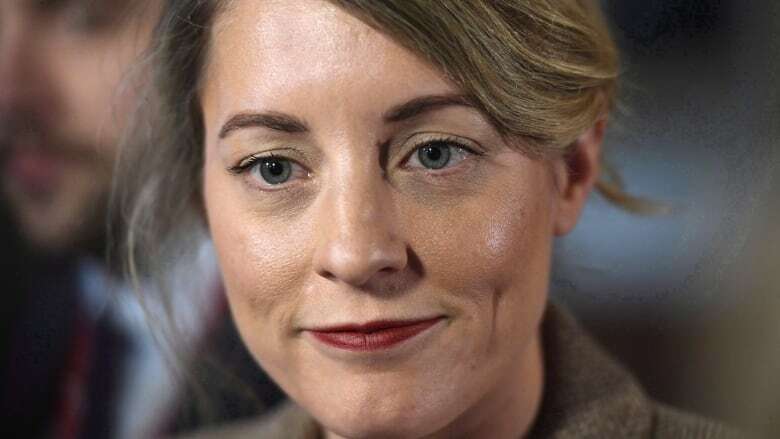 Last year she rolled out a 'Creative Canada' strategy, but was attacked — mainly in her home province of Quebec — for a deal with the TV and movie streaming site Netflix. The government announced Netflix would invest $500 million in new productions in Canada — but critics of the agreement have suggested Netflix is gaining an edge over homegrown companies, since the government's strategy doesn't require the company to pay corporate tax or remit sales tax on its Canadian subscriptions.